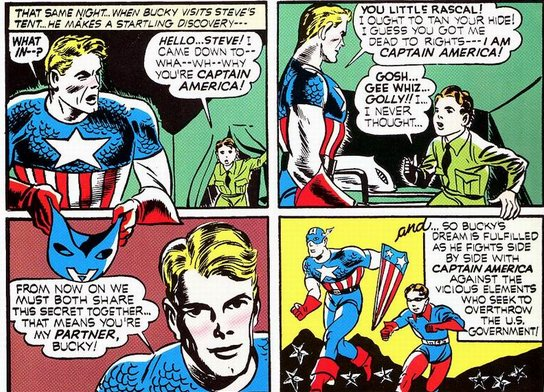 Punching Nazis Never Goes Out of Style. 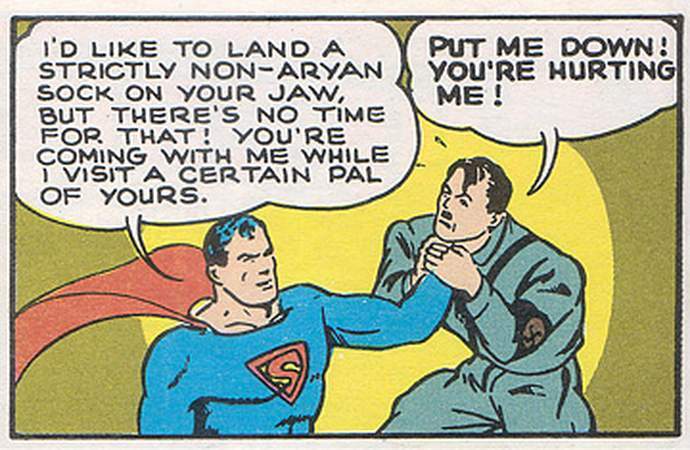 But Superman, aren’t you Hitler? 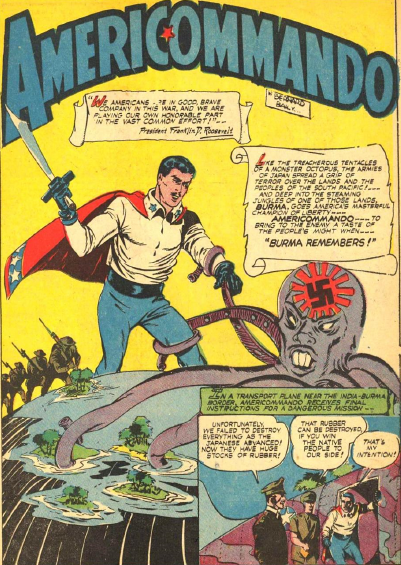 Captain America Never Fought a Japanese Nazi Octopus. The amount of effort he expended on his costume is about the same I did in tying a towel around my neck and running around in my Underoos as a kid. 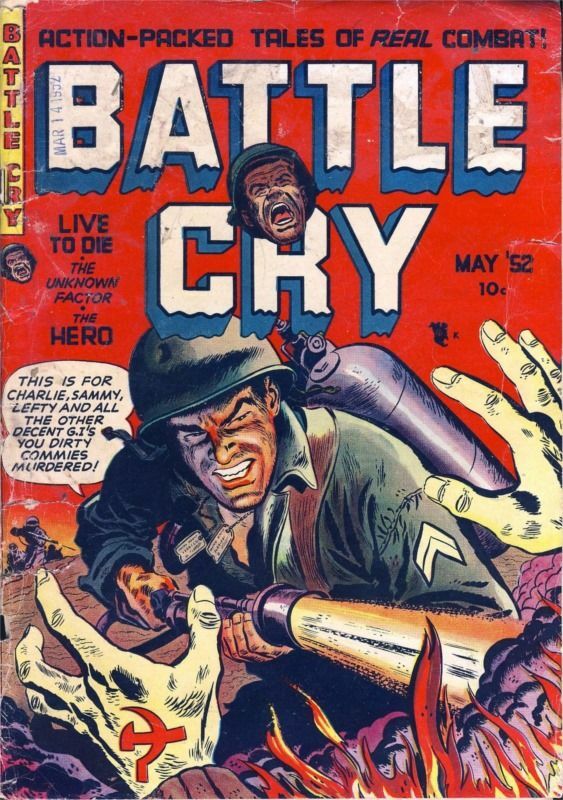 At first I thought that this was just parody art, but no. 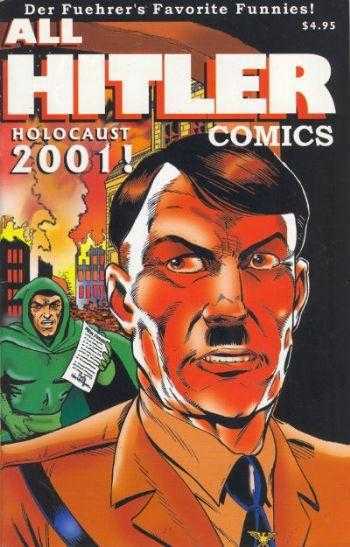 This is something that was actually published. Surely there is a minimum recommended safe distance for using nitrogen-propelled flaming napalm. Just Accept That This Exists. It’s Easier Than Fighting it. More Superman Picking on Axis Troops.